We are taught to fix our position, work our bodies, make ourselves stronger…. through tension and often times, poor movement patterns. Lift weights, do pilates, stretch yourself into gumby with yoga…. If we make our base out of tension, if our feel is through tension, it is like a disease that threads itself all the way up the levels until…. the house starts to crumble because there was a flaw in the base. In order to thread softness within strength, relaxation within movement, presence within activity, we must first start with us. When I was first learning how to do flying changes under Ed Rothkranz, he told me the easiest way to understand the timing was to skip. He said, “Skip your way back home every day and count one, now, now-and-change, two, now, now-and-change”. Whenever I said, “And” was when I was supposed to put my new leg on for the change and I should skip to the new leg for the “change”. He had me do that skip counting for all the changes up to singles. It is something I STILL use as a reminder to this day. Before there were well-known science-backed concepts of the mind-body connection, he was giving me a tool to teach the brain what the body needed to do before I was ever asking it on the horse. Doing this exercise created the neural pathway and the reference point so that when I asked for the changes while riding, my body already understood what to do. Sure enough, I had done so many “changes” by the time I was ready to ask for one on the horses, I “knew” what to do. The first time I ever heard Ray Hunt teach, there was one thing that stuck with me because he mentioned it several times. It was one of those things people heard but I am not entirely sure they understood what he meant. He said, “Have an idea of where you want to go then ask it of the horse”. I spent a lot of time pondering how I could make that connection. How do I convey to the horse what is in my mind? The horse, does not have the chatterbox in their brain, the ego mind, which comes from the frontal lobe. The largest part of their brain is for sensory and FEEL. In other words, how things feel through their body. Believe it or not, we can deeply understand our horses and how they perceive the world by simply focusing on our own bodies through movement. until I met, Alysen Starko-Bowes. She was a ballet dancer turned pilates instructor. She discovered a new way of working with the body when she had a lot of pain and injuries due to her career, called Franklin Method. 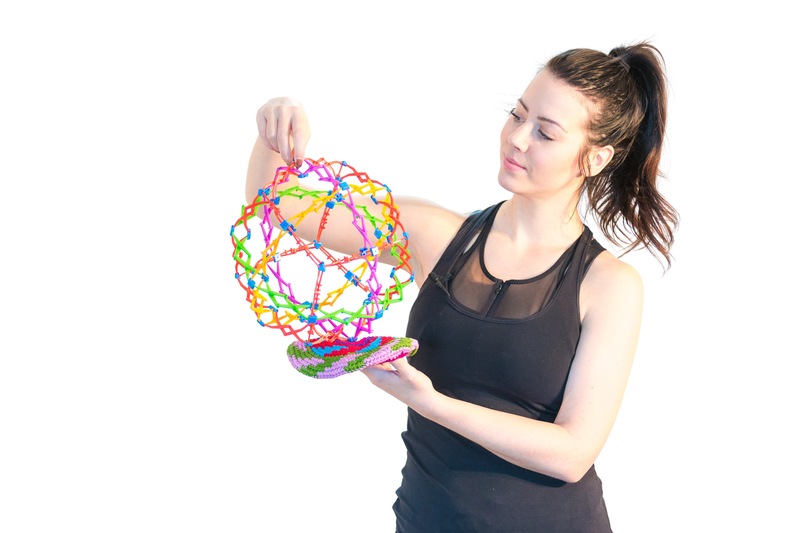 It mixes science, anatomy, visualization and movement to strengthen the proprioception and neural pathways between mind and body. What I ended up discovering were eye-opening understandings of what the horses were telling me through the feel in their bodies that I did not even notice before. I began to recognize patterns in my movement that they also had in their movements. I started working with my horses in a totally different way, using the building processes I had learned from Alysen and was blown away how my horses were responding! I was so blown away by how my body was feeling and how it was translating into my horsemanship I just had to share it with you.